The press release announcing my resignation from Hollinger was on the wires the Monday morning after my decision. Murdoch's New York Post became the outlet for every fictional tale of my enemies and then some enthusiastically invented by the Post itself. In 2007, I was convicted of fraud and sentenced to six-and-a-half years of imprisonment. 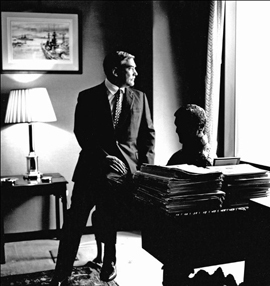 At the time I was ranked as the third largest newspaper magnate in the world: Through my company, Hollinger International, I published many of the most famous newspapers in the world, including the Daily Telegraph, the Chicago Sun-Times, the National Post, the Jerusalem Post, and hundreds of community newspapers throughout North America. I'd been a member of the British Parliament since 2001, and was known formally as Lord Black of Crossharbour. All but my title were subsequently stripped away from me: My company was destroyed by court-sponsored administrators who vaporized $2 billion of shareholders' equity while pocketing $300 million for themselves. I sold my homes in London, New York, and Palm Beach, as I did not wish to own a home in a country where I would not be welcome (and would be ambivalent about visiting anyway), and to ensure that I had plenty of cash for avaricious American lawyers. Only the home in which I grew up, in Toronto, Canada, was spared. My prosecutors began with a demand for life imprisonment and fines and restitution of $140 million. Their 17-count indictment accusing me of racketeering, money laundering and almost everything except complicity in the murder of Abraham Lincoln, however, disintegrated. Four counts were not proceeded with, nine were rejected by jurors, and four were unanimously vacated by the U.S. Supreme Court in 2010. The U.S. Seventh Circuit Court of Appeals overturned two of the three remaining mail fraud counts in October of that year. On July 19, 2010, after I had served 29 months of a 78 month sentence in a federal prison, I was granted bail. And on June 24, 2011, I was resentenced on one remaining count of mail fraud and one count of obstruction of justice and a fine of $125,000. I was sent back to prison for a little less than eight months. I write from there. No sane, fair-minded person could possibly now believe that I was guilty of any crime, and no similarly endowed person, writing from the vantage point I do, could have endured this persecution for over eight years without it diluting his affection for the United States. Before this cataract of horrors began, I had known that there were some dodgy aspects to the U.S. legal system, and feared that the plea bargain system was essentially a bazaar for the exchange of inculpatory perjury for reduced sentences or immunities, a traffic that would lead to the disbarment of prosecutors in most serious jurisdictions. Of course, the fact that the United States has persecuted me half to death does not mean that it has ceased to be a great country, and the fact that my affection for it has been largely vaporized does not mean that I do not still admire it in many ways and fondly remember, like an old romance, my days of greater credulity. And I feel that given how its justice system operates and the correlation of forces between the United States and me, that I have fought my corner as well as I could to a better outcome than the prosecutors' 90-something percent success rate usually allows. And as I look forward to the end of this travesty, of my sentence, and to my departure from this country on May 5, 2012, with no scheduled or forecast date of return, I'd be happy if this story, recounted in my book excerpted below, A Matter of Principle, and confined to the facts, will help bring these very profound problems to a serious review. The United States has six to 12 times as many incarcerated people per capita as other comparable, prosperous and sophisticated democracies: Australia, Canada, France, Germany, Japan, and the United Kingdom. The Fifth, Sixth, and Eighth Amendment guaranties of due process, the grand jury as assurance against capricious prosecution, no seizure of property without fair compensation, access to counsel, an impartial jury, prompt justice, and reasonable bail, (I enjoyed none of these rights), have all been jettisoned while the Supreme Court has been drinking its own bathwater. 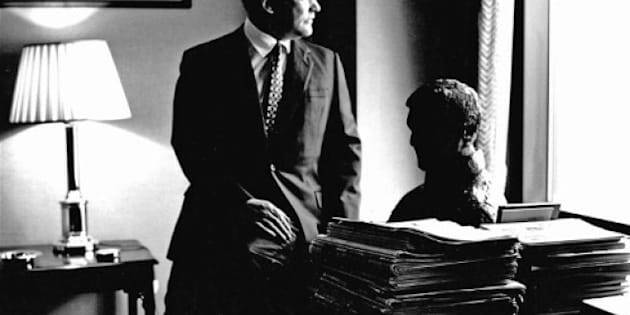 Prosecutors routinely seize and freeze defendants' assets on the basis of false affidavits to prevent engagement of (avaricious) counsel of choice; there are many catch-all charges apart from the Honest Services statute that the Supreme Court rewrote in our case, that are impossible to defend, and prosecutors attack with unfeasible numbers of counts and have the last word before unsophisticated juries that have to rely on their memories of lengthy and complex proceedings and have been pulled from jury pools that have been softened up by an unanswerable prosecution lynching in the media. The public defenders are Judas Goats of the prosecutors rewarded for the number of victims they load on to the conveyor belt to the prison industry, not for the services they perform. This book is my effort to present the facts of my case, which are quite typical, graphically but fairly, and what is written is, in all material respects, indisputable. Back as the people's invitee in a government guest house, my morale is peppy as I contemplate another, but spontaneous career change. My present regime, while Spartan, as prisons should be, and requiring much self-generated divertissement, is perfectly civilized and survivable. What has happened to me could happen to anyone, and only those with substantial resources inaccessible to the prosecutors' ability to immobilize it in ex parte actions, could see it through and not be ground to powder, ruined financially and reputationally, stigmatized, ostracized, their family and social lives ruptured. None of that has happened to me, and if I am of the slightest assistance or encouragement to the large numbers of similarly unoffending people ground down in this system so far from what Jefferson and Madison and the other early champions of civil rights in America envisioned, it is my honor. It is a terrible, and largely unrecognized problem, gnawing at the moral soul of this country. Below is my excerpt from A Matter of Principle (McClelland & Stewart 2011), exclusive to The Huffington Post. I already regarded Rupert Murdoch as the greatest media proprietor of all time. He had come from a faraway place, had conquered the London tabloid field, buying the derelict Sun from the Mirror and swiftly outpacing the Mirror. He had cracked the Fleet Street unions that had reduced the industry to a financial shambles for decades. I was the only Fleet Street chairman publicly to acknowledge the debt we owed to Murdoch for this. We had a joint printing venture in Manchester and several other direct arrangements with him. I had always found his word to be fairly reliable, and he was a straightforward negotiator. He developed astonishing enthusiasms at times. Once, he telephoned me to urge me to buy the satellite transmission air space allocated to Canada by treaty with the United States in order to fill it with his American-directed signals. I replied that there would be an international dispute over which country would have the honour of prosecuting us: the Canadians for piracy or the Americans for trespass. Personally, Murdoch is an enigma. My best guess is that culturally he is an Archie Bunker who enjoys locker room scatological humour and detests effete liberalism. I have long thought that his hugely successful animated cartoon television program, The Simpsons, is the expression of his societal views: the people are idiots and their leaders are crooks. His airtight ruthlessness does have amusing intermissions. From time to time, he conducts a campaign to humanize himself in the media: dressed in black, with dyed orange hair, pushing a baby carriage in Greenwich Village; explaining to the Financial Times that he was on guard against errors and arrogant misjudgment in his company; claiming to be a churchgoer and mentioning his possible conversion to Catholicism. Murdoch has no friendships, only interests; no nationality emotionally -- the company he has built is his nation. Except Ronald Reagan, and perhaps Tony Blair, he has deserted almost every politician he ever supported, including Paul Keating, Margaret Thatcher, John Major, Jimmy Carter, and Hillary Clinton, to several of whom he owed much. The press release [announcing my resignation] was on the wires the following Monday morning [after my decision]. In the next 24 hours, the full force of the media hostility to anyone suspected of abusing an executive position -- and to me personally -- came pouring forth in Britain and Canada and a few sections of the United States. Murdoch's newspapers had been stoking up all through the run-up and went straight into joyous orbit. The London Sun began a widely emulated trend by announcing in a headline that I was likely to be sent to prison. Murdoch's New York Post did the same. Most of the newspapers that reprinted and even embellished the extraordinary vitriol of the British press had no idea that part of the anger with me was an ideological divide. Instead, like children wallowing in a mudbath, North American press and television picked up without any pretense of investigation every last vicious canard written in the U.K. newspapers about Hollinger, Barbara and me. Murdoch had his own motives of course. His New York Post became the outlet for every fictional tale of my enemies and then some enthusiastically invented by the Post itself. One day it would report that I had terrorized a table at the New York restaurant La Goulou after overhearing their table chat. Another time it recounted a negative incident involving Barbara that took place, according to the Post, at a London party when she was, in fact, in New York. The inventions were tabloid gutter, which, after all, has never ceased to be Murdoch's chief stock in trade, in print, and on television. In the post-Enron frenzy, the climate was so hostile to well-paid executives it was hard to rule out anything. I had recently seen Martha Stewart, a casual acquaintance, at a social engagement, and was impressed with her tough Polish Catholic imperviousness to the criminal charges that would lead to her brief imprisonment. I had experienced some of the fury of the corporate governance movement, but rapidly pro-American as I was, I assumed that justice could be had for those who were, in fact, innocent. Whatever might happen, I was going to bear up with as much dignity as I could muster. I had been a disdainful resister to corporate governance poseurs such as Tweedy Browne and now, denuded of defences and presumed by an eager international press to be an embezzler, came the public relations lynching.... As I was almost instantly without a reputation I was practically unable to sue anyone. Even in the countries that, unlike the United States, maintained the civil tort of defamation damages would be impossible to prove. The initial New York Times front-page story implied that I had been revealed as an embezzler.... It was one thing to convict executives if Enron and WorldCom, companies in which there had been colossal bankruptcies, a large accounting fraud, billions lost in the stock market, tens of thousands unemployed, and destruction of evidence. Executives at Adelphi appeared to have been involved in the misappropriation of billions of dollars, disguised from the auditors. Could the corporate governance movement reach such a level of ferocity that an innocent man could be prosecuted in the absence of evidence and effectively convicted and sentenced by a hostile press? I thought not, but I was in free-fall now, so swift had been the collapse of the life I had known. Watching my name crawl across the bottom of the television screen linked to accusations of fraud and "looting" on American news stations was unearthly. Attacks came from totally unexpected quarters.... The reviews of my [just-released biography of Franklin Delano Roosevelt] continued to pour in almost universally positive, including Ray Seitz's generous review in The Times. It was a strange leitmotif to the business and public relations debacle. I will never know how much better the book would have sold if I had been able to market it effectively, nor how much more depressing the time would have been without it. But the publication at least made it more difficult to claim that I was just another sticky-fingered, grubby businessman. On November 21, 2003, the Kravises, de la Rentas, and Jayne Wrightsman held a book launch party for me at the New York Four Seasons restaurant. I had given them plenty of opportunity to dodge it, but they insisted. The former Treasurer secretary, Robert Rubin, was holding a reception in the neighbouring room that naturally pulled a great many more people--and many of the same ones. The presence of Candice Bergen, Joan Collins, Barbara Walters, the Kissingers, former and current mayors Ed Koch and Michael Bloomberg, World Bank president Jim Wolfensohn, Bill Buckley, long-serving district attorney Robert Morgenthau, Mrs. Nelson Rockefeller, the Ahmet Erteguns, the George Livanoses, Barry Diller and Diane von Furstenberg, Bob Silvers of the New York Review of Books, the Podhoretzes and others from Commentary magazine, and a considerable swatch of New York finance and society convinced even the New York Post that "the New York power structure rallied in support of Conrad Black." A more widely held view was that of Tina Brown, an undoubted expert on the subject of career reversals from her own and her husband's experiences, that it was more like a wake for the life we had. Both descriptions were partly true, but I nevertheless had enjoyed myself. Barbara described herself as "in rigor mortis" throughout the evening. The dinner afterwards at Jayne Wrightsman's was a touching and exquisite occasion. Henry Kissinger, the Weidenfelds, and the Sid Basses were especially generous in their comments, about both the book and its author. But this agreeable interlude could not long distract me from the fact that I was now in a truly horrible crisis.